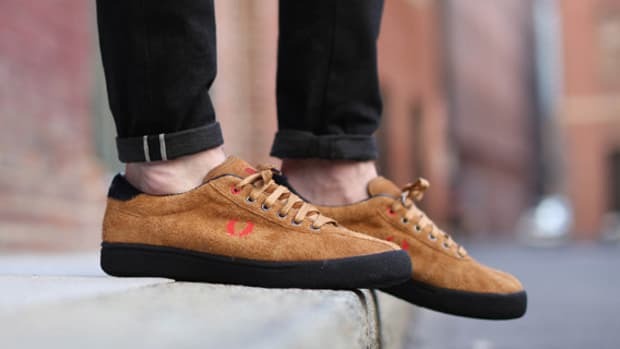 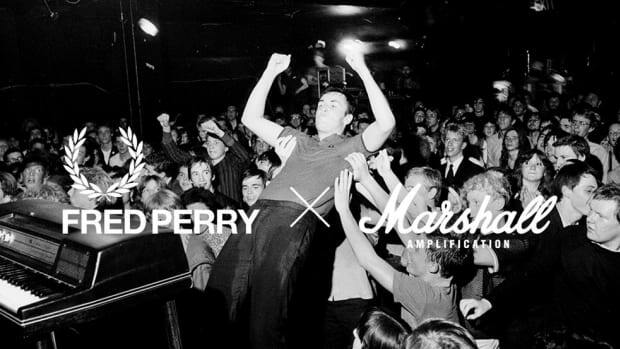 Boston&apos;s Bodega has teamed up once again with Fred Perry, and this latest joint venture presents a new take on the latter&apos;s B2 Tennis shoe, an original 1980s style straight from the archive. 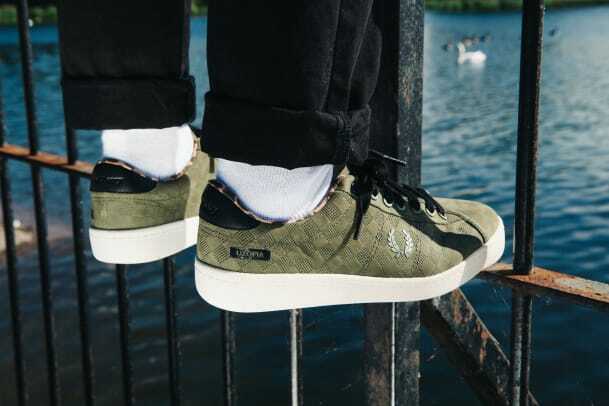 Dubbed the New Establishment, the sneaker collaboration is inspired by the energy of &apos;70s punk, featuring a soft nubuck upper finished in military green, accented with leopard-print trim and a subtle checkerboard pattern on the side panels. 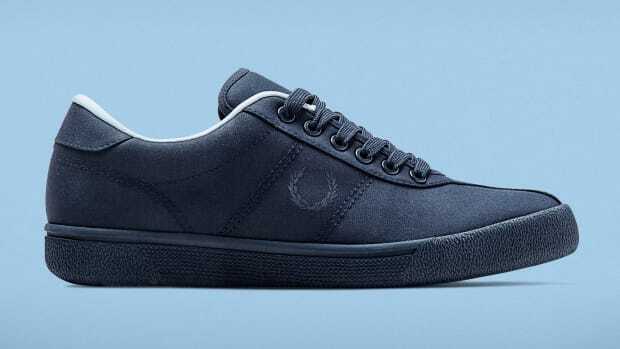 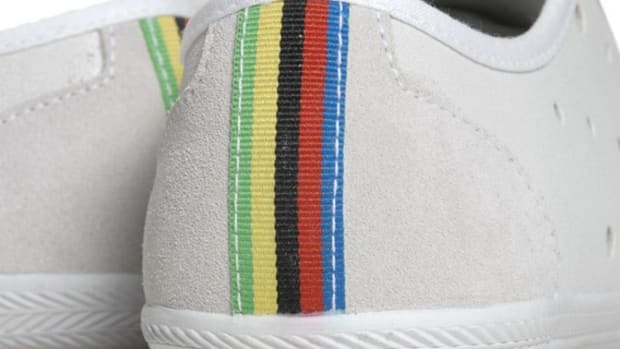 Finishing details include "No Future" and "Utopia" embossed on the black leather heel tabs of the left and right shoe, as well as Fred Perry&apos;s signature Laurel Wreath on the quarter panel. 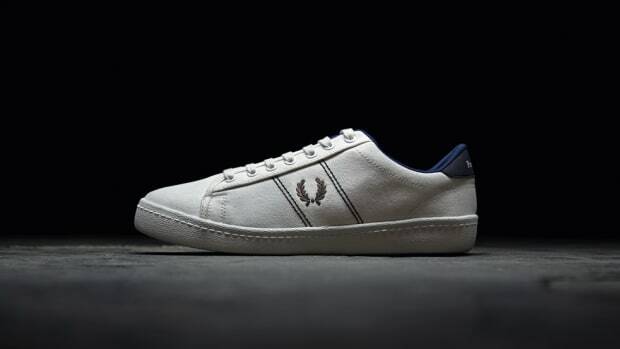 Limited to 100 pairs in the US, the kicks are available in-store and online at Bodega now. 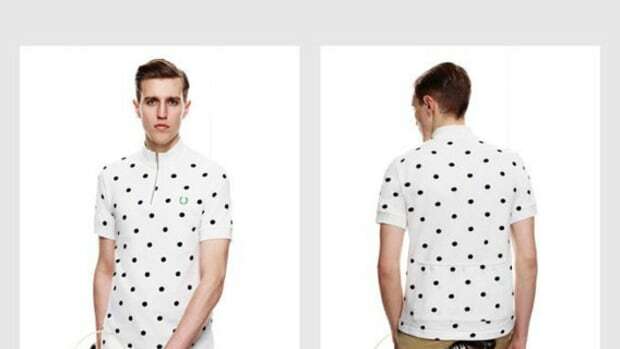 Each pair is accompanied by an embroidered button down shirt, with retail for the package set at $190 USD.